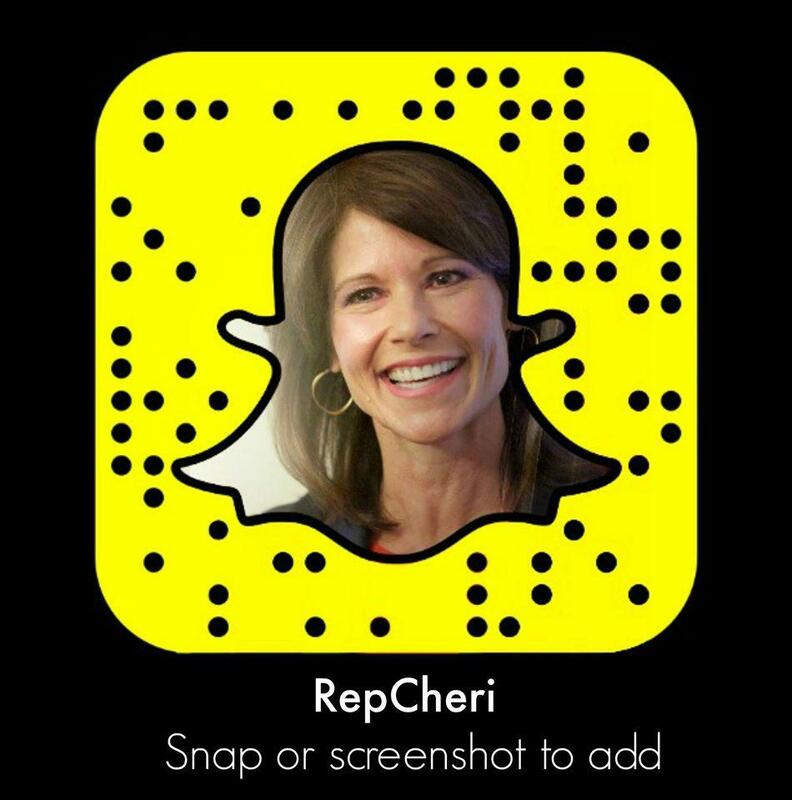 That’s why in December, Congresswoman Cheri Bustos introduced the Ending Forced Arbitration of Sexual Harassment Act of 2017 which would allow survivors of sexual harassment or discrimination, who are subject to forced arbitration clauses in their contracts, to opt out and instead take their cases to court. Congresswoman Bustos first started working on this legislation a year ago after reading an article in the Washington Post alleging that Sterling Jewelers, the parent company of Jared the Galleria of Jewelry, Kay Jewelers and Zales Jewelers, was able to sweep hundreds of sexual harassment complaints under the rug through forced arbitration clauses in contracts. As has been detailed in many recent sexual harassment scandals, by avoiding a public airing of grievances, survivors have been silenced, predators have continued climbing the corporate ladder and new employees have entered workplaces that they never could have known were rife with abuse. For months, Bustos worked with colleagues on both sides of the aisle to build a broad, bipartisan coalition to support her bill and, in December, she introduced it with Senator Kirsten Gillibrand who is leading this effort in the Senate. 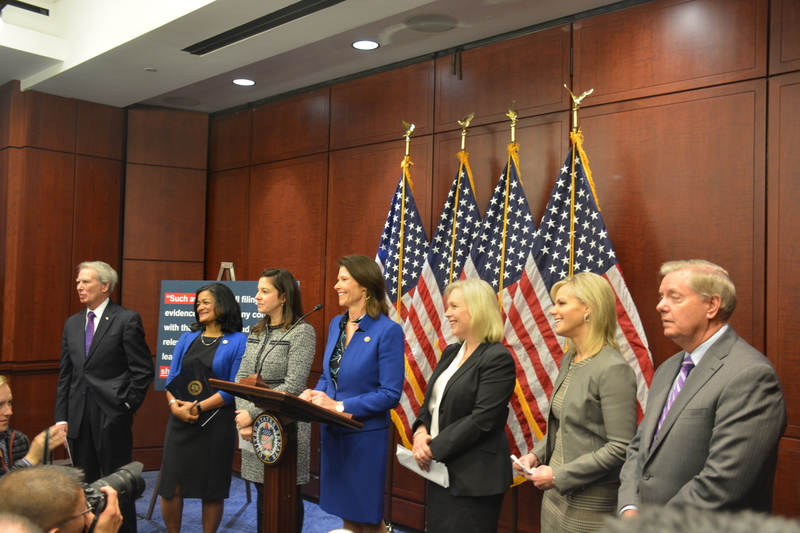 They were joined at a press conference by their partners in this effort including Senator Lindsey Graham (R-SC), Congressman Walter Jones (R-NC), Congresswoman Pramila Jayapal (D-WA), Congresswoman Elise Stefanik (R-NY) and Gretchen Carlson. Below is the text of the letter from all 56 State and Territorial Attorneys General. To view the signed letter as a printable PDF, click here. As the duly-elected and appointed Attorneys General and chief legal officers of our respective States, District of Columbia, and territories, we ask for your support and leadership in enacting needed legislation to protect the victims of sexual harassment in the workplace. Specifically, we seek to ensure these victims’ access to the courts, so that they may pursue justice and obtain appropriate relief free from the impediment of arbitration requirements. Access to the judicial system, whether federal or state, is a fundamental right of all Americans. That right should extend fully to persons who have been subjected to sexual harassment in the workplace. Yet, many employers require their employees, as a condition of employment, to sign arbitration agreements mandating that sexual harassment claims be resolved through arbitration instead of judicial proceedings. These arbitration requirements often are set forth in clauses found within the “fine print” of lengthy employment contracts. Moreover, these clauses typically are presented in boilerplate “take-it-or-leave-it” fashion by the employers. As a consequence, many employees will not even recognize that they are bound by arbitration clauses until they have been sexually harassed and attempt to bring suit. Additional concerns arise from the secrecy requirements of arbitration clauses, which disserve the public interest by keeping both the harassment complaints and any settlements confidential. This veil of secrecy may then prevent other persons similarly situated from learning of the harassment claims so that they, too, might pursue relief. Ending mandatory arbitration of sexual harassment claims would help to put a stop to the culture of silence that protects perpetrators at the cost of their victims. Congress today has both opportunity and cause to champion the rights of victims of sexual harassment in the workplace by enacting legislation to free them from the injustice of forced arbitration and secrecy when it comes to seeking redress for egregious misconduct condemned by all concerned Americans. We are aware that the Senate and the House are considering legislation to address this issue. Whatever form the final version may take, we strongly support appropriately-tailored legislation to ensure that sexual harassment victims have a right to their day in court.